Fishery production is very diverse with and estimated sustainable potential of 40273.91 tons per year of which only 22.8 percent is currently exploited. Forestry is considered a potential industry with the natural forest-based Classification Map TGHK RTRWP suggesting a forest area of 471,951.53 hectares, but much of this is protected or hard to access due to steep slopes and transportation logistics and the islands’ main plywood company, PT Barito Pacific Timber Group (in Falabisahaya, West Mangole) has closed. Industrial activity is very limited. There is a gold mine in East Mangoli District (at Waitina and Kawata) and coal mines are located in the peninsula of West Sulabesi District, East Taliabu and Sub Sanana (Wai Village Ipa. Reserves of coal are estimated around 10.4 million tons. At early begin, Sula Islands regency was part of West Halmahera regency, together with North Halmahera regency and South Halmahera regency. The tourism sector in these islands is supported by a number of attractions, both natural and historical attractions. 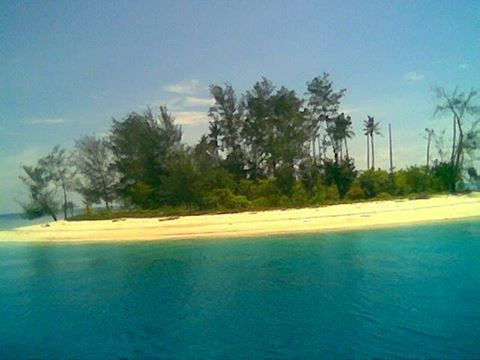 Natural attractions such as beaches Wai Ipa, Manaf beaches in District Sanana, Pagama marine parks in District East Mangole, Island Overlay and hot springs on the coast Losseng, East Taliabu District, and more. The historical attractions include: Air Kalimat and Pasir Anjing in Jorjoga, Kukusang Mountain and Mananga cave in west Taliabu, Fat Fina Koa (Batu Nona) and more.